We’re making it easier to follow your impulses with this week-long exclusive offer. So go wild. Get some sun. Start frolicking. 30% OFF BEST AVAILABLE RATES. 2-NIGHT MINIMUM STAY. VALID FOR STAYS NOW THROUGH OCTOBER 13, 2016. 30% OFF BEST AVAILABLE RATES. 2-NIGHT MINIMUM STAY. VALID FOR STAYS NOW THROUGH SEPTEMBER 1, 2016. 30% OFF BEST AVAILABLE RATES. 2-NIGHT MINIMUM STAY. VALID FOR STAYS NOW THROUGH DECEMBER 31, 2016. Call on close friends, Philippe Starck, Chef José Andrés and Lenny Kravitz for a beachfront getaway like no other. 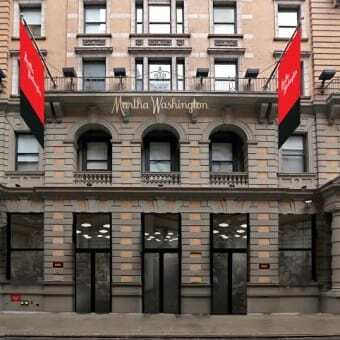 Martha Washington Hotel is just blocks from The Empire State Building, Union Square, Bryant Park, Madison Square Park and some of NYC’s hottest boutiques, restaurants and bars. Soon to be transitioning to The Redbury New York, give into your Spring Fever for stays now through Labor Day. Please book online or contact your travel professional. Experience an unpretentious refuge and unwind after hitting your favorite Hollywood hotspots. Lounge by the legendary pool under the lush foliage and unwind in our peaceful beachfront oasis. 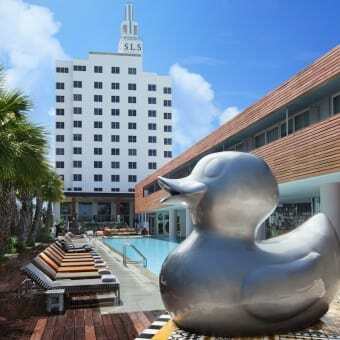 Spend hot sunny days and cool spring nights at The Redbury South Beach.